Lurking guys from Finland brings us their third album, or they actually brought it two years ago but now it comes on label on vinyl and everything. The label guy claims that I will find it exceptional, I am not so sure about that as some music from his promotions is quite poor while some is quite brilliant. 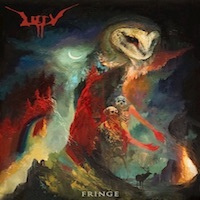 Lurk’s third album Fringe certainly looks exciting, the artwork is rather fabulous and makes you want to buy the album. And I can add that the artwork actually represent what you can expect from the music as well. Uniting many genres into their style makes it a bit difficult to label them, but perhaps atmospheric sludge/doom is a good description. Add to that touches of death and black metal and other things juxtaposing atmospheres with riffs, creating a very interesting and rather personal style of music. I would not describe it as unique as it is still remnant of many other bands, but still quite fresh and quite interesting. Good production and quite powerful, going at low tempo and good variation, as is the vocals and they are rather varied and good with screaming and rasping and everything. And they keep it rather short and to the point with 44 minutes split on eight tracks, an excellent production. Really good, really exciting and really well made, are my reactions to this album by this band called Lurk. Wistful and mysterious, multi-faceted and many things can be used to describe this Fringe, with great atmospheres and interesting songs with good depth they hypnotise the listener and gives a very enjoyable musical experience. I like this one, so I guess he was right in that claim of excellence, I would describe this album as rather excellent. And I don’t really see any weaknesses worth mentioning, it is certainly an album worth having a closer look at. Fringe is an album worth playing over and over as you will find new and exciting things to enjoy and like, a great adventure in music. Killer album, killer music, yeah, I think this one is certainly well worth having a closer look at. 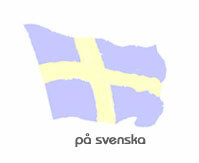 Exciting and great stuff offered by these Finns, they certainly know how to make a strong album. If you like the sludgy and atmospheric stuff I can certainly recommend that you take a closer look at this album. So, in the end the conclusion has to be that this album both looks and sounds very good, you should not miss this one – check it out!